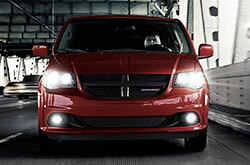 With upgraded technology and appearance, the 2017 Dodge Grand Caravan boasts a variety of features, space and comfort that family car shoppers crave, as well as a versatility and utility that lets drivers get the most out of their minivan. 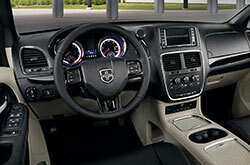 This model year, Dodge has simplified the van's trim offerings, while adding more standard technology like a rearview camera and a touchscreen interface. To find out more about what the latest version of this popular family van has to offer, keep reading the rest of our in-depth 2017 Dodge Grand Caravan review below! The 2017 Dodge Grand Caravan in Scottsdale now spreads its various equipment offerings across four trim levels: SE, SE Plus, SXT and GT, all of which have seven-seats. 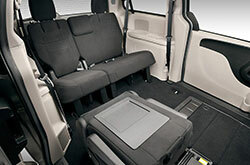 The base Grand Caravan SE comes with standard features like a second-row bench seat that folds into the floor, six-speaker audio system and the previously mentioned 6.5-inch touchscreen with a rearview camera. 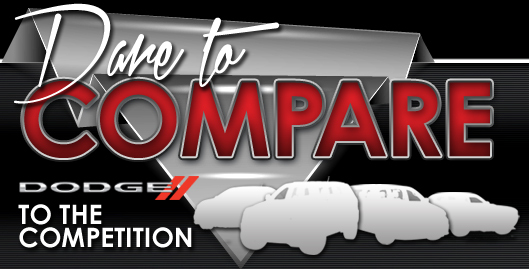 An additional package option for the SE is the Uconnect Hands-Free Group package, which includes satellite radio, Bluetooth connectivity and a USB port. The next-level SE Plus comes standard with the features from the additional packages available for the SE, as well as upgraded upholstery, a front floor console and second-row captain's chairs. 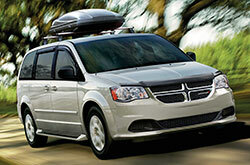 The standard features of the SXT include a power liftgate, remote engine start and leather upholstery, while the available Driver Convenience Group package adds a heated steering wheel, heated first- and second-row seats, voice controls and an overhead storage bin to the minivan. The last trim is the GT which includes all of the standard features of the SXT and the Driver Convenience Group Package, as well as a driver information center, a household-style outlet and upgraded audio system. 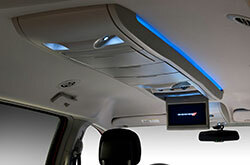 Other features that can be added on are a DVD entertainment system, an HDMI input and additional USB ports. 2017 Dodge Grand Caravan reviews admire this model for its comfortable performance, which is perfect for everyday driving. Each 2017 Grand Caravan is outfitted with the same engine: a 3.6-L V6 that produces 283 hp and 260 lb.-ft. of torque. 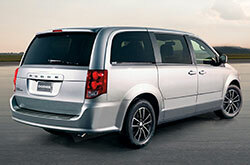 A six-speed automatic transmission, as well as a front-wheel drivetrain, round out the powerplant on the minivan. A system that gives the 2017 Grand Caravan an average fuel rating of 20 mpg combined. The 2017 Dodge Grand Caravan near Phoenix comes with an excellent list of standard safety features. These include stability control, active front head restraints, front-seat side airbags, antilock disc brakes and full-length side curtain airbags. Drivers looking to add a few more safety amenities to the range-topping Grand Caravan GT can choose the Safety Sphere package, which comes with more advanced features like parking sensors, blind spot monitoring and rear cross-traffic alert.